The original circuit layout had to be redesigned to accommodate the shorter leads of metal film resistors (versus the longer leads of vintage carbon composition resistors). I attempted to maintain the original X-axis component spacing as much as possible, using the original 5F8A layout as a scaled reference. 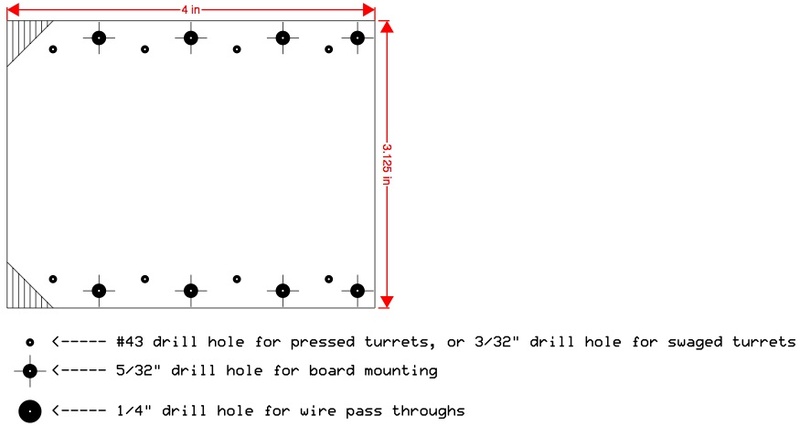 Some modifications were made, such as the use of turrets instead of eyelets and the addition of a linear potentiometer for an adjustable bias circuit. I welcome any comments, corrections, or thoughts on this subject.